‘Archipelago’ means an extensive group of islands. 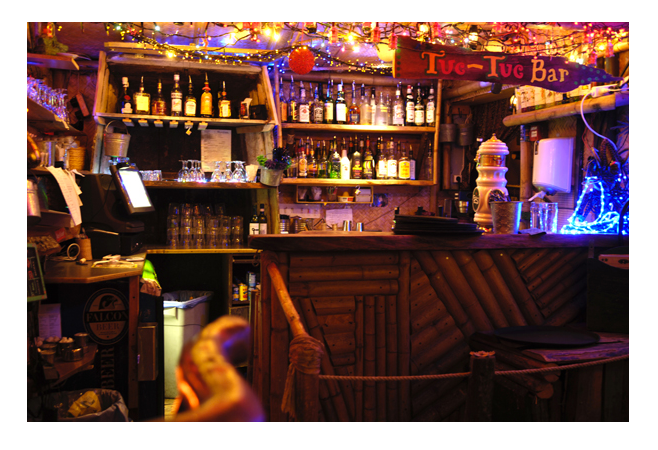 This restaurant in London is perfect for exotic cuisine with deep red vivid walls, surrounding you with island trinkets. 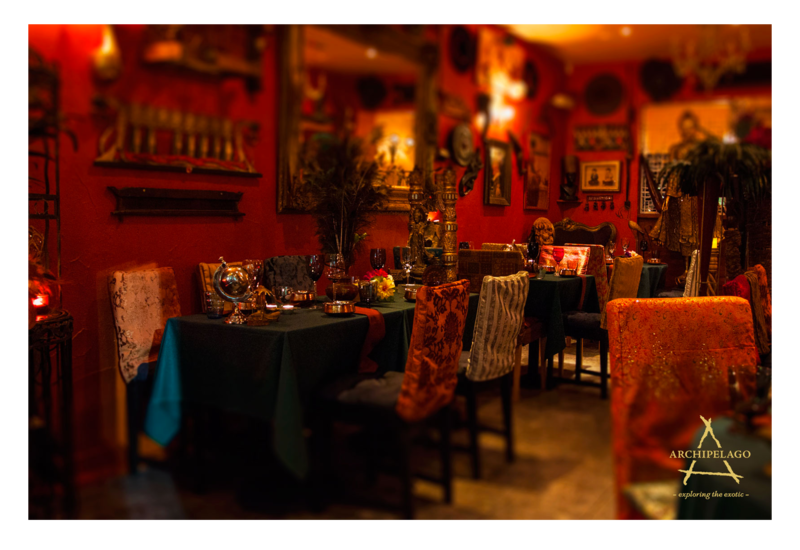 With deep red walls, golden trinkets and Buddha’s placed on each table, this restaurant really enhances a mystic feel. You feel as if you are a distant traveler with fortune telling powers. Dishes include crocodile, wildebeest, kangaroo and more. Take your glass ball and maybe you will see into the future of what dessert you will choose! exotic palm trees scattering the conservatory building. If you’ve ever wanted to be transformed into the Baudelaire’s adventures we have found the perfect restaurant for you! Halloween is traditionally celebrated once the sun goes down, the moon comes out and all the monsters are let loose. Bring this together with food and drink, and why not dine in the dark this Halloween? Dans Le Noir means ‘in the dark’. Upon visiting this establishment, you will dine in pitch black darkness. You cannot see your food, friends or even waiter. Not only is this a sensory experience that enables you to completely re-evaluate your perception, but you will discover a completely new pallet. Near the gates of Edinburgh Castle this hotel and restaurant is hidden amongst historic buildings and promises to be a full witchy, magical experience. Paneled oak walls, candle sticks and deep red theatrical decor, The Witchery by the Castle offers two places to eat. 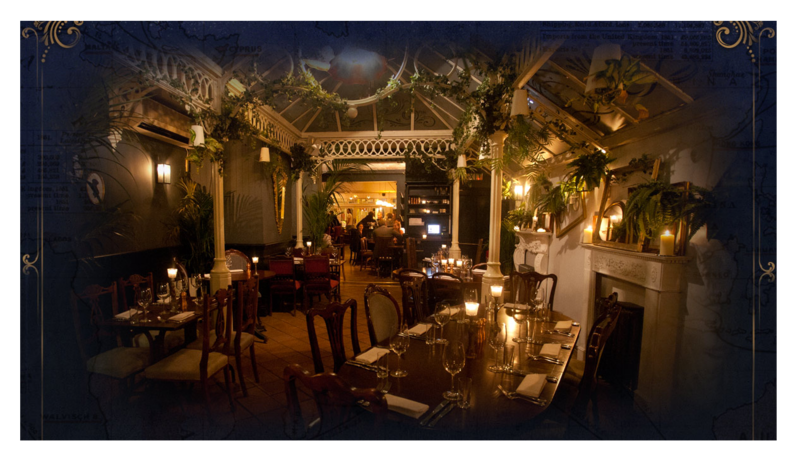 The Witchery room or candle-lit Secret Garden themed room both offer magical tables and a bewitching experience. Whichever you choose you will cackle whilst dining alongside your coven, and once you’re done dust off your pointed hat and leave on your broomstick. If you like garlic, burgers and rock music, this is the place for you. Everything on the menu is served with garlic as an ingredient (or nearly everything anyway). Ever tried Garlic Vodka or a Bloodshot? Well now is your chance. This burger bar is amongst the flashy bars in Soho, but stands out with its rustic, gothic vibe warning off the vampires of London.